City data shows taxpayers have paid $576,000 in judgments over the release of public documents since 2010. This as the city attorney looked to change the state's public records law. 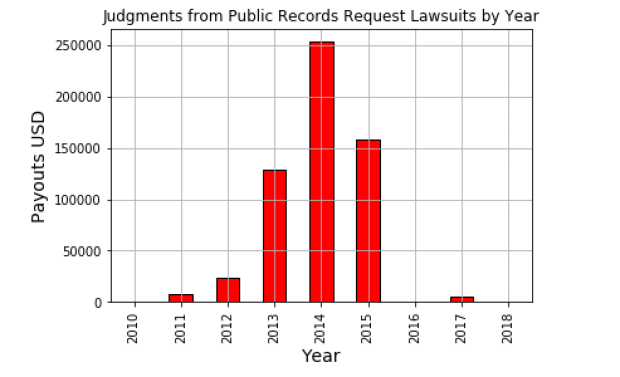 According to data obtained by NBC 7 Investigates, in the last nine years the city has been sued for withholding public documents 23 times - two cases were filed by the same plaintiff over the same issue and three cases are still pending. 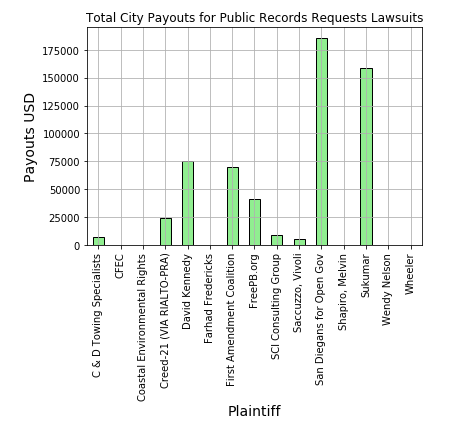 Public records lawsuit payouts by the city, according to data analyzed by NBC 7 Investigates. Plaintiffs who received financial settlements in public records lawsuits against the city of San Diego. "As court rulings have shown time and again, the only thing frivolous about lawsuits over the disclosure of public records has been the city attorney's basis for not turning over the records in the first place. If the city attorney wants to see the biggest culprit in driving up litigation costs for taxpayers, she should look in the mirror."